To start things off on their streak, Alaska went into Yost Ice Arena to face Michigan having never swept the Wolverines in Ann Arbor. 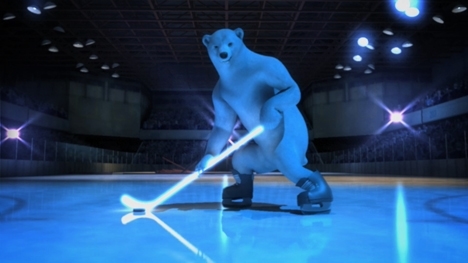 2 nights later, Alaska had skated away with their first-ever sweep similar to Miami’s first ever sweep they took from Michigan on November 6-7, 2009. You can moan all you want about Michigan’s current record (we LOVE it, by the way, and we also love the fact that they are just 3 points/one loss to MSU this weekend away from the basement in the CCHA), but going to Yost is NEVER easy, and Miami’s all-time record there is all the proof you need. Following that weekend up, the Nanooks headed to South Bend to face then #5 ranked Notre Dame. Again, 2 more wins later, and there’s some steam coming out of that group from Alaska. A short plane ride home to Fairbanks for a weekend series against Northern Michigan? No problem! For just the 2nd time ever and first time since 2004, Alaska dispatched NMU at home in both contests. And voila. 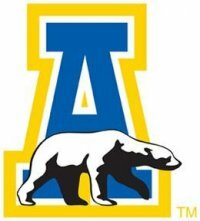 A scorching, white hot Nanooks squad has reached the polls for the first time this season, are climbing in the CCHA standings and, most importantly, are coming to Oxford. Miami is on a win streak of their own, however, which is a nice reboung following the Rico Swoon through the end of December and beginning of January. Miami beat Ohio State, but only 1-0 in the Three Rivers classic, and was then shut out by Robert Morris the next night 1-0. After a 2 point (out of 6) trip to Northern Michigan, Miami then lost 1-0 to Wisconsin as well, before righting the ship, and now has won 3 in a row after a weekend sweep of BGSU. If you’re looking for storylines from Coach Blasi’s squad, look no further than the top scoring line. Austin Czarnik and Riley Barber are still leading the CCHA in points, and Barber is still tied for the rookie lead amongs all NCAA freshmen, but neither they nor their linemate Curtis McKenzie scored last weekend. McKenzie and Czarnik scored in the win over Wisconsin, but the top line hadn’t been shut out in a series all season up to that point. At the same time, however, Miami did get goals from the other lines last weekend, which will be crucial to success down the stretch. Playing 3 ranked teams who are in the CCHA regular season title-hunt and NCAA tournament hunt, these teams will key in on that first line, and guys like Cody Murphy, Jimmy Mullin, Blake Coleman, Mark Hagel, Bryon Paulazzo and Alex Wideman need to step up and score a few goals for the boys in Red and White in the coming month plus. With Miami struggling, Alaska might just be the cowbell to Christopher Walken’s fevah – Miami won 5-2 and 4-0 this season on their trip up to Fairbanks on November 30 and December 1. You can catch the RedHawks on Sports Time Ohio (STO) and Time Warner Cable SportsChannel on Friday night, and also on TWC SportsChannel on Saturday night. Enjoy the games! Posted on January 31, 2013, in 2012-13 Weekend Previews, Alaska Nanooks, CCHA, Enrico Blasi, Miami RedHawks and tagged CCHA Hockey, Miami RedHawks, Miami RedHawks Hockey, NCAA Hockey. Bookmark the permalink. Leave a comment.